Buddhism provided my earliest spiritual foundation. As a young, atheistic firebrand and activist I took the above quote to mean that I didn't need an external 'God' or belief structure to achieve spiritual enlightenment. But as I have grown older (and yet only perhaps slightly wiser though) I have realised that it is much more 'basic' than that. We need to always look within (as well as without) for the reasons that we may not be living our life of passion and purpose. If you're dragging chains from the past you won't be able to fully express yourself and move forward with clarity. More damagingly it is easy to associate these chains (of negative self-worth, limiting beliefs) with situations or people around us. We can easily begin to think that someone else is holding us back, when in fact it is our own sh&t that is keeping us from being able to truly recognise the opportunities around us. So look within and move. 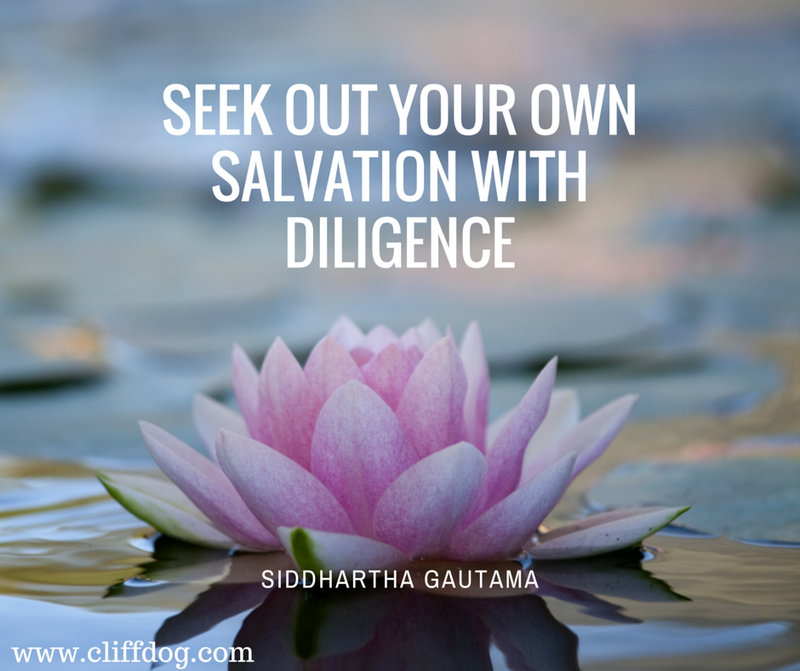 Seek out your own salvation...with diligence. 'Seeking' is an action, just like happiness is a doing, not a happening. How can the 'Happiness Coach' be depressed? The answer of course is obvious. It is the struggles and learning how to live with it that allows me to then illustrate this message to others through my talks and books. But I'm certainly not perfect (as anyone that knows me will attest!) and I fall down like anyone else. And as anyone who has experienced depression knows, there can be periods of days, weeks, months, years (or even decades) in which you feel as if you have 'beaten' your demons and finally, fully, completely stepped out of the 'shadow'. But it can be at these very times that we need to keep doing the things that have helped us to move out of the dark times, not stop because we are 'cured'. Let's face it - life is a process, and one of continued growth and evolution, and if we stop doing the things that nourish and honour ourselves we may find that we slip back into the shadow again. I've been guilty of this complacency... They say pride comes before a fall and depression has cost me friendships, loves and opportunities, and no more so than in recent months. And so I've gone back to the drawing board, to refocus on the things that I know will help to provide the best 'base' for me to be happy. If you are feeling down I hope these little tips help, and if not they may just help to keep you out of the shadow. 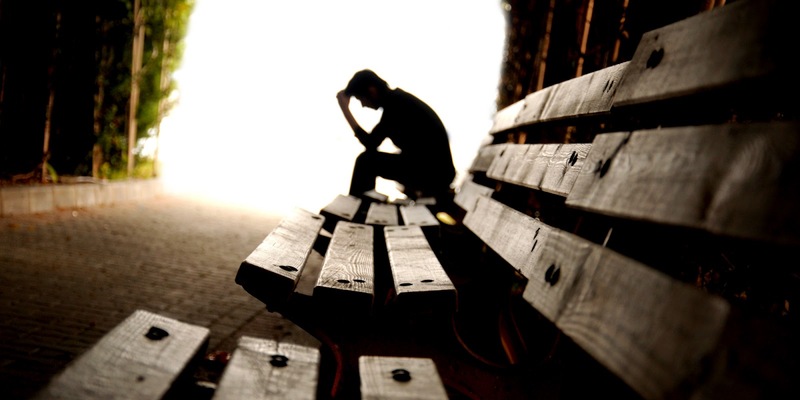 When you're down, you're usually one of two things: exhausted, or stressed-out and anxious. Neither of which is conducive to actually doing anything. Having a plan allows you to simply 'stick to the process' and tick off the things that need to be done. Even if this feels automaton at times, you know that you are doing the things you need to do to heal. I have written extensively about mindfulness and how critical it is to being aware of when life is not working for us the way it should, and how we can begin to change it for the better (see Choosing You! and Time Rich Cash Optional for more info). And in spite of having practiced mindfulness meditation since a very young age, this is the one critical thing that has slipped out of my routine. Meditation is often a challenging thing for people, especially when depressed to think about incorporating into their routine. It feels like just one more thing that you have to do...and the thought alone can be panic inducing! But the key is to simply start, start slow, but keep on doing it consistently. Clients often say to me: "I don't have time for that" to which I reply "Do you have just one minute?" Exercise is critical to helping us feel better in the presence of depression. I can say wholeheartedly that if I am not being physical (in other words not 'moving' daily) that I will become depressed! Don't be too hard on yourself though. Do things that you enjoy, and do what you can, as you're able. But just like the meditation advice above make sure that you are doing just a little more, or something a little bit more challenging day-by-day. You need to not smash your body into the ground, simply focus on moving, breathing and becoming stronger in mind and body. Check out a yoga class, download an app (like Daily Yoga) or get a good training book/manual that has an intelligent approach to strength such as Easy Strength by Dan John and Pavel Tsatsouline. When you're feeling down, or in a really negative space you need to 'shift the energy'. This could be by changing environment, getting some fresh air, going to your local coffee shop, and could also involve changing your mind-set in the moment with belief statements and empowering affirmations. I don't talk to people enough...Like many people with depression I tend to bottle things up and try to deal with them on my own. Part of that is I'm sure a protection mechanism (you don't want the stigma of being labeled as 'depressed' right?!) But it is not healthy, nor helpful to wallow in your sorrow. Talking about problems and challenges helps to immediately cast light on them, making them seem less dire, and allowing you to see more rational solutions to challenges. It can even be dangerous to not talk...without the 'release' that talking provides there can be a greater temptation to think of self-harming and worse. Physical contact is so soothing and calming. When we're down we can draw back from physical contact, but even if it makes you break down and sob, it's worth it to have the connection and closeness that only touch provides. When we are feeling threatened and under stress, we inevitably take on a poor posture. Conversely taking on a good, strong, empowered posture (think standing up tall, chest out, shoulders back, chin tucked) helps to encourage patterns of mental health and wellbeing. This is a concept that I need to remind myself of. 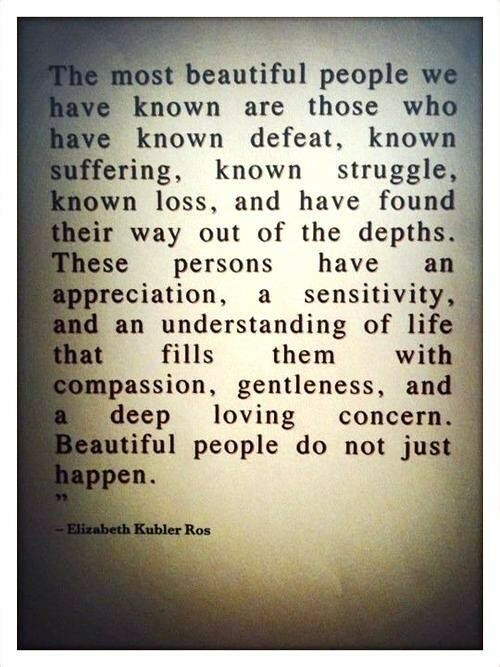 Especially in those darkest of times it can be nearly impossible to see that the hurt, pain (or simple life-draining numbness) could ever end, and yet we know from experience that it has before and that things will improve. It is sometimes a shallow solace but little reminders that things will change can help to just make us pause for a moment, which can be enough to keep us quite literally here. The more we break stereotypes around depression and mental health the more we will all be able to thrive, instead of merely surviving in this crazy ol' world.